​In Dec 1967, Jack and Mary Hande held a meeting in their home consisting of neighbors interested in creating a local pool. The initial goal for starting membership was 80 families. Emerald pools, then located in Eugene, engineered/constructed the pool. Don Gribskov, local architect, drew the plans for the bath house and equipment room. Viesko Redi Mix poured the gunnite, to Emerald’s formula. ​The land locked property seemed a perfect place and has proved so. Marion County buried a huge drain pipe across the land making it unsuitable for residential use. The pipe drained the large wetland pond that was located under the hill at the east end of what became Brandon Way. For many years, frogs propagated in the resulting lake, filling the whole ares with the croaking of the little frogs! All of the original members pitched in and assisted with digging, carpentry, and painting to ensure that costs remained low. 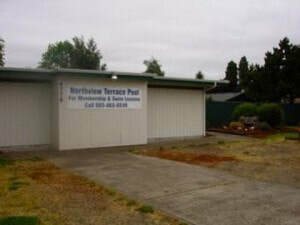 Each membership sold for $250.00, which covered all pool construction cost without debts. One family sent their several children out to the strawberry fields to earn there membership. To this day, NVTSC is a great place for neighbors and friends to meet and spend the day relaxing… come join us!